Lucas Rieffel is a young vigneron who is very well known and respected, all over Alsace. 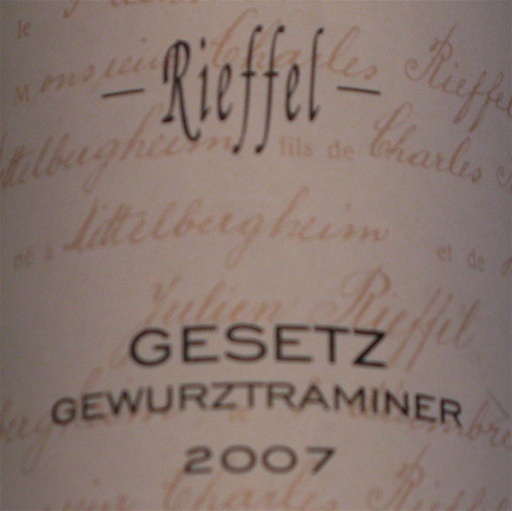 Since a decade, he makes well balanced, elegant wines with profound environmental concern, and the various terroirs in the communes of Andlau, Barr and Mittelbergheim. 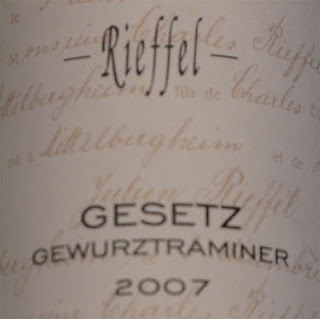 2007 Gewurztraminer Gesetz offers an aroma of spices and banana, indicating the the wine will develop complexity after a few years of cellaring. The taste includes apricot and pineapple, and is mellow and slightly sweet without being sticky. The sugar will be integrated in a few years, and leave room for a focused variatal character. Superb craftsmanship and a promising future. Price: €8.